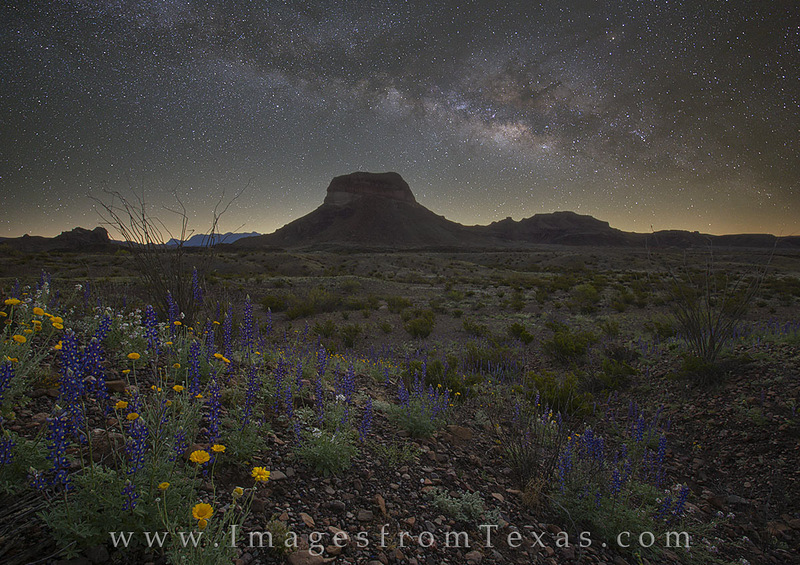 Bluebonnets in Big Bend National Park rest under the majesty of the Milky Way. This image is a composite of several images. First, the Milky Way was captured using a star-tracking device a few hours before sunrise. The long exposure of the stars allows the brightness to show up as we see it when there is no light pollution. The second image was taken just as the first hints of light began to show on the horizon. Fortunately, the winds were calm and I was able to capture these wildflowers in a long exposure, adding some brightness and depth to the image. The glow on the horizon was the sun’s light in the early morning hours. Photo © copyright by Rob Greebon.